San Jose, Costa Rica – September 13, 2016: a silence sweeps across the theater at the famed Cine Magaly, a hushed excitement as the crowd awaits the entrance of their Primera Dama – Doña Henrietta Boggs – the former wife of José Figueres, the little giant who led the Costa Rican Revolution in 1948, abolished the military, gave women and minorities the right to vote and participate in the political process, and led the nation down the path to the vibrant oasis of democracy it is today. Henrietta witnessed and influenced many of the decisions that shaped modern Costa Rica. Now 98 years old, Henrietta is scheduled to enter the theater and greet the crowd. The auditorium buzzes with anticipation. That’s right. 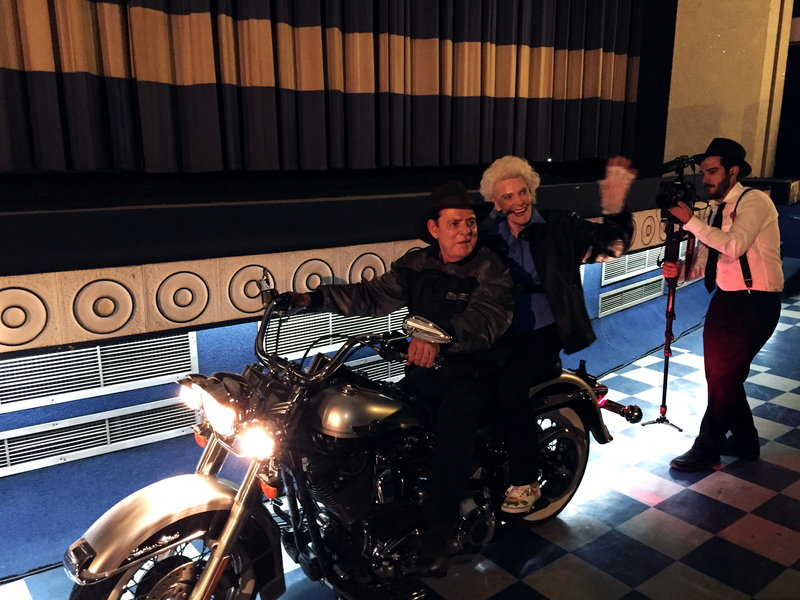 Henrietta made her grand entrance in the Cine Magaly on the back of a Harley Davidson, defying her age and, as always, telling people who told her “no” that she was going to do it anyway. This is a taste of why Henrietta is such a remarkable person and why we were inspired to make this film about her life. You have probably seen a lot of Facebook and Twitter traffic about First Lady of the Revolution on our social media platforms lately, but I wanted to take a moment to wrap it all up in a little bow, tell you what we’ve been up to, and more importantly, where you can find us moving forward. Let’s start with that then. If you want to see the award-winning documentary, we already have some options for you. Save the date and join us at one of these special events! If you live in one of these cities, you have no excuses. The screenings will be open to the public, and we expect to see you there! But let’s flash back to where we’ve been so far. It was important for us to premiere in Henrietta’s home state of Alabama. We received support from the Alabama Humanities Foundation and we were fiscally sponsored in the state by Montgomery City-County Libraries. We were so excited when the Sidewalk Film Festival accepted the film, and we were determined to make the official premiere one to remember! During the August 27th screening, we were thrilled to see that the theater was standing room only, and we later found out that we had broken the venue record for attendance (which prompted Sidewalk to do a special encore screening on September 20th). 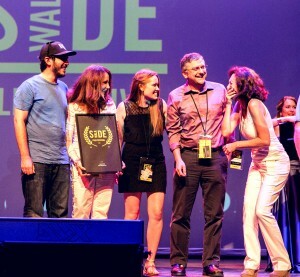 We were also honored when Sidewalk presented the film with three awards – the prestigious Audience Award for Best Alabama Film, an Honorable Mention Jury Award for “Badassery” because the film was the most badass selection in Birmingham that week, and the inaugural Spirit of Sidewalk Award – created because the programmers were as inspired by Henrietta as we are. From her witty responses during the post-screening Q&A to joining the festival revelers in front of the Alabama Theater at 11:00 pm, Henrietta seemed to be everywhere. She even participated in a book reading, discussion and coffee tasting at Revelator Coffee House the day after the screening. That was just the beginning. In September, the adventure moved to Costa Rica for that nation’s premiere. Exciting and creative ideas flew across the Caribbean as the details of the big event began to take shape – a Trio strumming their guitars and serenading Henrietta? Check. Bolero dancers showing off their extravagant moves on the street outside the theater? Check. Production crew dressed to the nines 1940’s style? Check. Putting a 98-year-old woman on a Harley Davidson? Che— wait, what?! Which brings us back to where we began this blog. Were we seriously considering putting Henrietta on a motorcycle? On one hand, it would be so appropriate. Figueres wooed her on the back of a Harley Davidson, as they rode across the Costa Rican countryside. He even proposed to her on one of these excursions, at the top of a live volcano! But on the other hand, it would certainly be dangerous. We approached Henrietta herself, who said she would be thrilled to make such an entrance, but only so long as audience members were positioned on either side of the theater, backs against the wall, and with apples balanced on their heads, and as the motorcycle roared down the aisle, she would throw knives at them and knock the apples off. It would also be an ideal opportunity for her to wear her fake beard. She felt the red one would work best for such an occasion. We scraped the knives and the apples, and with some difficulty also convinced her not to wear the fake beard, which was replaced by a leather jacket. And as you saw, she made her grand entrance in the Cine Magaly on a Harley, to the roar of the audience, which immediately leapt to their feet and cheered her on. It was an entrance for the ages. The Cine Magaly was the premiere, but First Lady of the Revolution continued to receive a warm welcome in the Land of Eternal Spring – the film has already screened at a special event the night before at the Teatro Espressivo and the following weeks would see a theatrical run in several theaters in San Jose and a number of educational screenings. 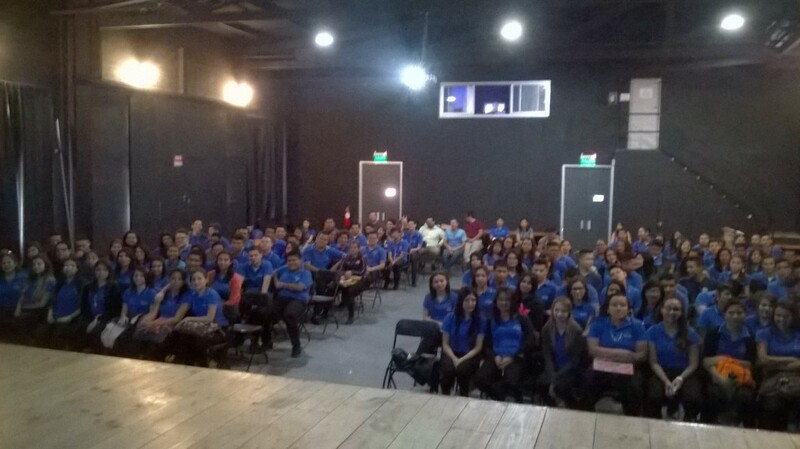 Thousands of high school students saw the film in locations such as the Cine Magaly, Teatro La Villa, Jade Museum, and Parque La Libertad. It is so important for us to reach students with this film, especially when humankind so often seems to suffer from a kind of historical amnesia. Important details of our shared past first become fuzzy and then vanish as generation follows generation. For students in Costa Rica, it is important for them to see how their nation was reborn in the 1940s, and to learn about the woman who helped it rise from the ashes of civil war. It is a perspective that few know, an unfortunate situation that we hope this film helps rectify. More screenings followed. The Costa Rican Ambassador to El Salvador held two events in El Salvador. 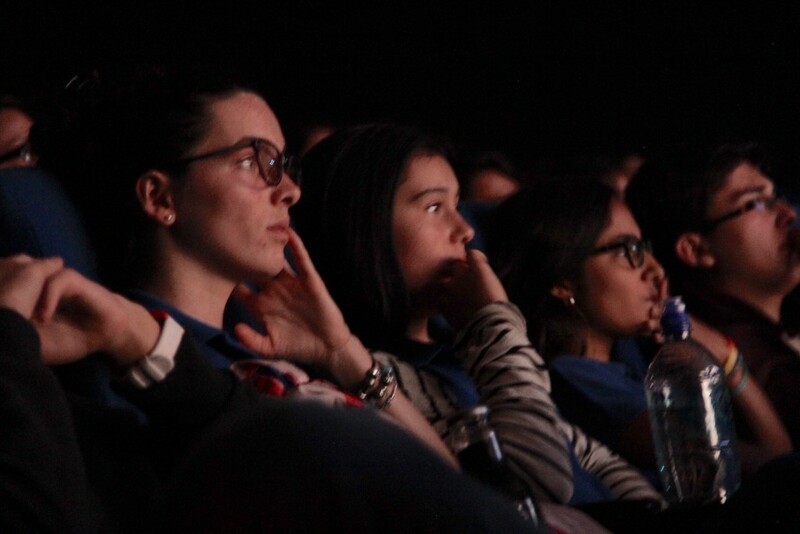 Additional screenings in the United States were held at the prestigious Hot Springs Documentary Film Festival, Auburn University and the University of Alabama. 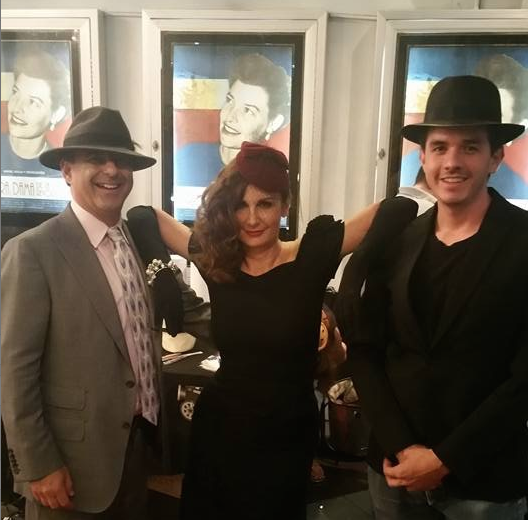 We were even given an Award for Excellence from the IndieFEST Awards – quite an honor!